Each year around this time I put up a post containing a collection of Black Friday and Cyber Monday sale links. Basically what I do is spend several hours scouring the web for running-related holiday sales, and aggregate them all into a single post – kind of a one-stop shop for runners looking for discounted shoes and gear. The post is typically very popular, and it benefits me in that I earn a small commission from affiliate referral sales at many of the online retailers listed below. 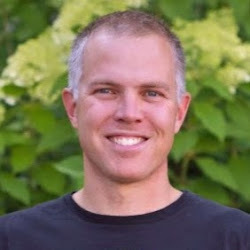 You save money, and I get a kickback for alerting you to the sale – it’s a nice win-win, and it helps me to be able to keep doing what I do here on Runblogger. In addition to online shopping, I would also encourage you to consider checking out your local running specialty store on Small Business Saturday! I’m sure many will have sales. Amazon usually has a good selection of sale running shoes, and often has discount codes. Below is a code for 30% off purchases of $100 or more that is active now. NOW – Save 30% off $100 on running (and casual) shoe purchases with code CYBWEEK14 – valid 12/2-12/6. Running Warehouse Cyber Monday sale is over. However, Running Warehouse always has lot of great shoes on sale – you can view the men’s sale shoes and women’s sale shoes here. 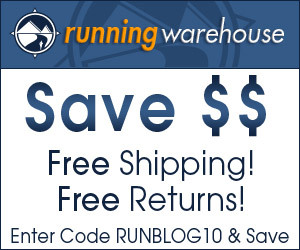 Using the Runblogger code RUNBLOG10 should get you an additional 10% off on the sale shoes. Take 15% Off Purchases + Free Shipping with code SHOES15. Valid now through 1/31. 6pm.com is essentially the clearance site for Zappos (same parent company but run separately). They often have really low prices on running shoes, but you do have to pay shipping (discounts are often good enough to make it worth it). 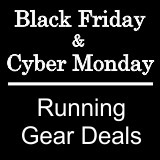 Holiday sales are over, but 6pm.com also has a bunch of running shoes on sale at pretty low prices. Click here to view selection. Clever Training has sales running on select TomTom GPS watches, Garmin Vivofit and selected Garmin GPS watches (FR10, FR15, 210, 610, 310XT, 910XT, ), select Newton shoes, bike racks and accessories, and more! Click here to check out the sales at Clever Training. Black Friday/Cyber Monday sales at The Clymb are now over, but they still have great discount prices on clearance gear. In addition to cycling and swimming gear, Trivillage carries a good selection of running shoes, clothing, and accessories. Black Friday/Cyber Monday sales are now over, but the code RBTri18 will still get you 18% off purchases. 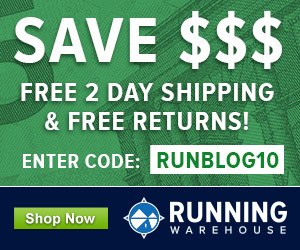 Sales are over, but I have arranged a discount code at City Sports – RUNBLOGGERCS10 will get you 10% off purchases (exclusions apply as some brands do not allow online discounting). Take an Extra 20% off your entire order with code ACJTURKEY4! Valid through December 3, 2014. Black Friday/Cyber Monday sales are over, but Leftlane Sports has daily flash sales on a variety of outdoor gear. Click here to view selection. Eastern Mountain Sports is running sales on products from many major outdoor brands, including Black Diamond, Prana, Tubbs, Keen, Osprey, Kahtoola, Vasque, Oboz, Mountain Hard Wear, Camelbak, and Marmot. Click banner below to view sale. Xero Shoes is having the biggest sale we’ve ever had. Up to 75% off. It’s our 5th Anniversary! And, of course, Black Friday, Cyber Monday, and the upcoming Holidays… but also we have to move into a new office AND we have a bunch of new products coming in the Spring, so this is also a Moving and Inventory Clearance sale. this is very helpful for me in finding my shoes absolutely. Because I want to buy my shoes in discount. thanks. No discount is coming up for Amazon. I’ve been trying for hours.